This content is currently being updated. If you are looking for certain marketing pieces or content, please contact Craig Roers at CraigR@NewmanLTC.com for assistance. Our robust selection of tools can be a bit overwhelming, so we've broken it out into an easy to digest menu of options. Just as you might in a restaurant, tackle only what you think you can finish. Follow our selection guidelines for the best experience. Only have time for appetizers? No problem. Want a four course meal? We've got you covered. 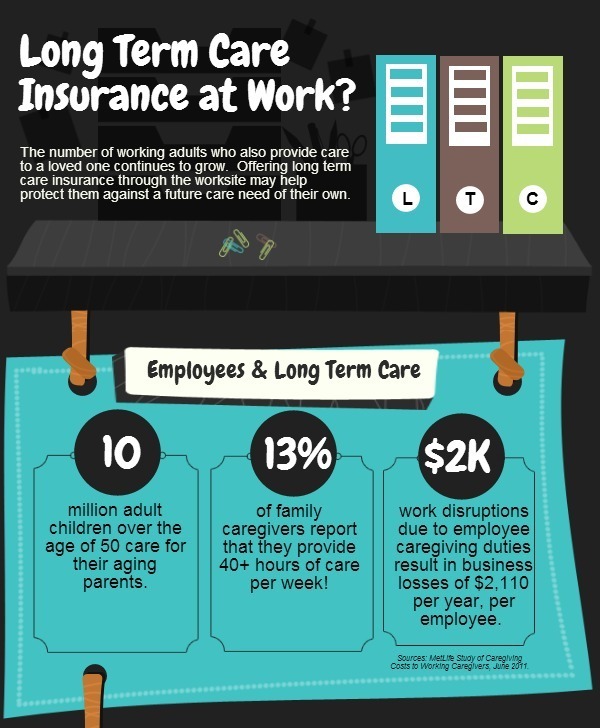 Now more than ever, advisors have the opportunity to discuss one of the most critical issues facing the workforce today - long term care. In fact, multi-life LTCI has become one of the fastest growing areas in the industry. 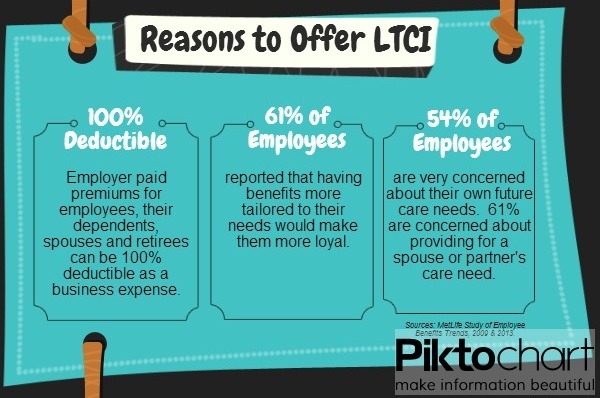 Your business clients need to learn about the tremendous advantages available to them for offering LTCI benefits. We like to say that LTCI is the most tax-advantaged product on the market. Share this message with your clients by using the tools below! 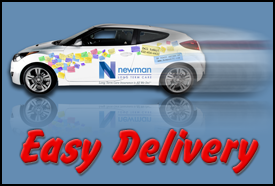 Just add the items you want to your order, then select the "Deliver to Me" option at the BOTTOM OF THE PAGE to have them delivered to your Inbox for easy access. Quick and easy, these pieces are easy to share and don't take much time to prepare. Print off any size on your own color printer, or bring to a professional print shop to have printed up to 24" x 36". Download to have your graphics professional modify with your logo or contact info. NEW! 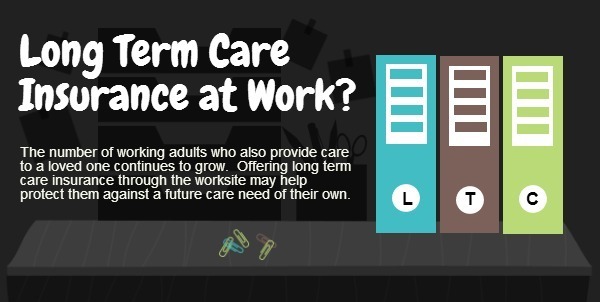 Infographic - Long Term Care Insurance at Work? Print off and hand out, include in your newsletters or mailings, or include in your social media and email for the month. Like traditional icebreakers, they are ideal for use in networking events or other social engagements. They also offer easy ways to work bring up LTCI near the end of phone conversation. In addition, they can be used in Social Media such as Facebook or LinkedIn, as these sites offer more character space than Twitter. These multi-life consumer flyers from Transamerica work great to catch the attention of business owners and executives. Through our partnership with the National LTC Network, NewmanLTC is able to offer you access to this third party E-guide to share with your clients. Click here to download. Submit this Press Release to your local publications as a "business" resource, or modify it to use as a prospecting letter or blog content. 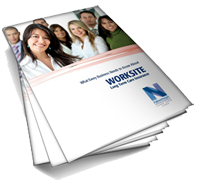 Use this customizable flyer to let your business clients know how to receive their free copy of this guide from you. Use in emails, or as a stuffer in mailings. Hard copies of this guide are available for 50⠥ach from the National LTC Network. Click here for their order form. These pieces are all pretty hearty, and take a bit more work, so don't bite off more than you can chew. Pick just one, and do it well. Submit to your local newspapers or trade publications with your name and contact information. Print under your name and include as an envelope stuffer, larger email or use as website/blog content. Fill in your agency and contact information in the areas provided and send to your local papers or trade publications. 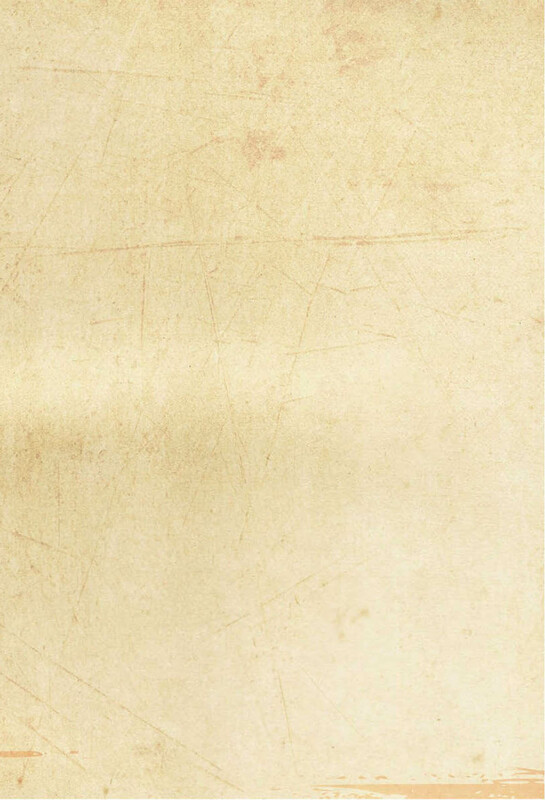 Modify and use as an envelope stuffer, email or website/blog content. These letters from Transamerica work great to catch the attention of business owners and executives. Designed for Twitter use with enough room to add a link, email address, etc. Tweet these short blurbs throughout the month. They also work great as a passive marketing taglines you can include in your email signature. Designed for shorter article use like those favored in print or electronic newsletters (ConstantContact, CoolerEmail, etc.). This Transamerica brochure is great for showing business owners how LTCI can help retain key employees. Indicates a Newman Long Term Care Favorite! We are pleased to share with you a number of tax-related producer materials that will provide you with detailed information on the tax treatment of LTC insurance premiums. The following are a list of materials that are available for financial professional use only. Looking for a new way to generate multiple sales? Look for people who share a common employer. Using the new Common Employer Premium Allowance is easier than a true multi-life sale because there's no group approval to obtain. When five or more co-workers purchase LTCi policies from you, they each save five percent on their premium. Disclaimer: By using any of these pieces, you are assuming all responsibility for the content of these pieces. Please use as you wish, and modify as needed to meet your own compliance requirements. Newman Financial Services, LLC dba Newman Long Term Care is not liable for any errors or omissions contained herein, or in any state or company compliance issues that may arise from improper use of these items.